You are likely already on the hunt for Elf on the Shelf ideas. We have a ton of them here- over 200 to be exact. How would you like a fun Elf on the Shelf welcome breakfast? I have been doing this tradition with my kids since 2011, and every year without fail, they wait anxiously for the fun shenanigans to begin. This one here is a great idea!! Are you wanting to start this tradition? It really is easy and is something that you can modify to make it work for your family. You buy the elf kit, read the book when it arrives and then name your elf. You can even get some accessories and clothes for your elf! Yes, I am serious. And trust me, it’s addicting! Each year when the elf arrives at our house, he leaves this super cute letter for my kids. It welcomes back the tradition and gets everyone excited! I address the letter to my children and then sign it from the elf. Here are the simple ingredients you will need to get your breakfast going. These are likely things you already have on hand. 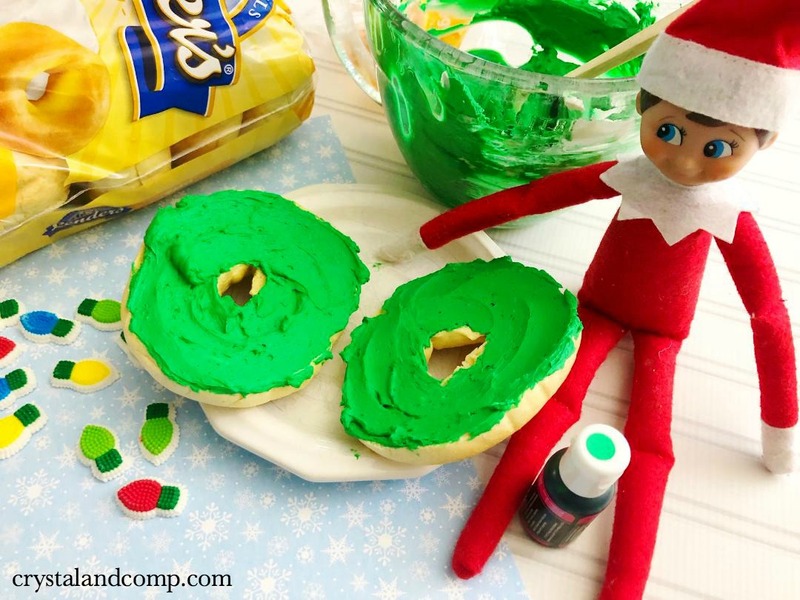 This is a really simple breakfast that Elf on the Shelf can bring for your little ones. First, toast you bagel so it is nice and cool by the time the cream cheese is ready. Once you’ve toasted it, set it aside. Now, combine the cream cheese and green food coloring in a medium sized bowl using a hand mixer.and mix using a hand mixer. Once you’ve out the icing on the bagel top it with your sprinkles and decorations. It’s totally festive and fun. 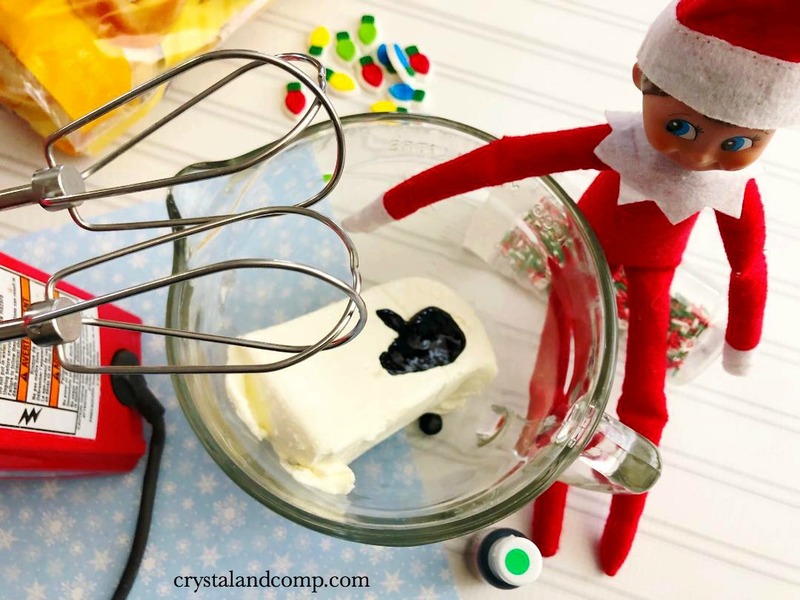 Elf can also leave little goodies for your kiddos with the breakfast. Think dollar store or Target dollar spot ideas! 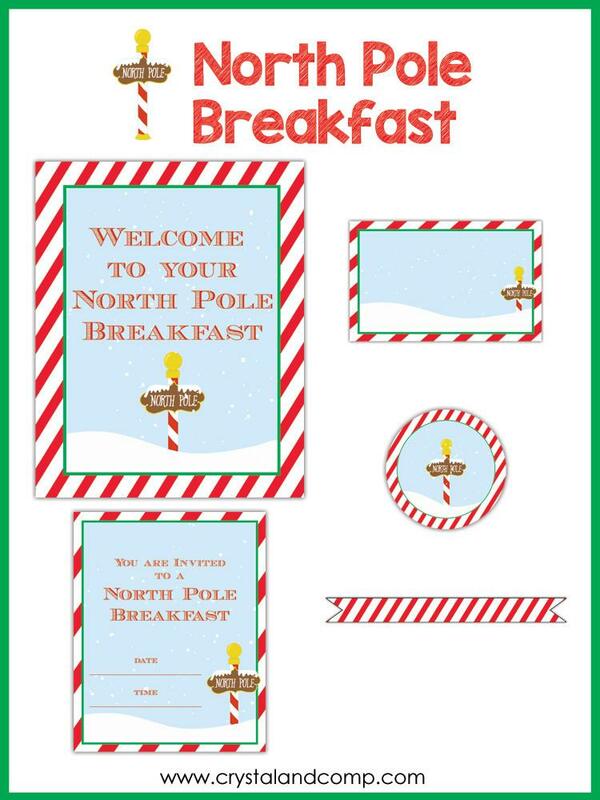 Use these North Pole Breakfast printables for your welcome breakfast to make things super fun. Just print them out and put them right to work. This is something your kids will remember for years to come! If you are new to Elf on the Shel and have lots of questions, this video answers the top 10 questions I get from moms as they get started on this journey! If you have been doing Elf on the Shelf for a while, I would love to hear some of your best ideas. What are the things that just wow’ed your kids?